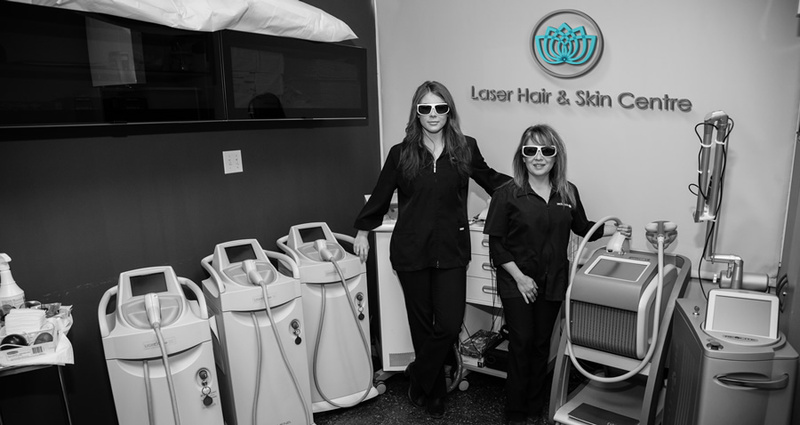 Laser Hair and Skin Centre was established in 1999 and has been serving Calgarians since with medical grade gold standard laser hair removal treatments, microdermabrasion, Titan skin tightening and other specialized services. Since the start up of Laser Hair and Skin Centre, our team has been dedicated to offering new and exciting treatments with the safest and most advanced innovation. Our goal is to keep momentum whilst continuously learning and thriving to grow our knowledge in the industry of medical standards, safety, and results. While visiting our clinic you will be greeted with smiles, knowledge and any kind of answers or information you require when developing your personalized plan for services. Our atmosphere is open, welcoming and you will be pleased to experience the gentle disposition we provide to put your mind at ease while you are attending your appointment with us. With our certified technicians to serve our clients, we guarantee nothing but quality and security while providing treatments by some of the utmost trained and experienced specialists in our city to date. We are professionals through in and through out, and expect nothing but the best education and performance from our members on board. Being in this industry for over a decade we here at the Laser Hair and Skin Centre believe the best way to truly serve our clientele is to educate them on the industry and why it can be so hard to find a clinic to entrust your skin and safety with. Click here to learn about industry technicians. Click here to learn about our laser hair equipment. Click here to learn about the laser skin care industry. Click here for your complimentary checklist whle looking around for a quality clinic that you can trust. Laser Hair & Skin Centre is celebrating their new rebranding by offering 15% off your first skin appointment for pigmentation and skin rejuvenation treatments! Contact us today to book your appointment and take advantage of this offer today!